Repurposing your content across channels is a great way to get the most from your social media strategy. However, sometimes, certain channels will perform better than others. When GQ posted a video about Kylie Jenner and Travis Scott on its YouTube channel (with 2.5 million subscribers), it was watched almost 30 million times. The same video on their Facebook Page (2.8 million fans) was watched 4.7 million times. A snippet of the video on their Instagram account (4.3 million followers) was watched 2.1 million times. But when GQ posted the same video on IGTV (the video was cropped to fit the vertical format), it only generated 137,000 views. A mere three percent of their follower count. Airbnb has 3.3 million followers and their three IGTV videos have 39,000, 77,000, and 22,000 views respectively (about two percent of their follower count). Warby Parker has 448,000 followers and most of their IGTV videos get one to five thousand views (about one percent of their follower count). HubSpot, 120,000 followers, generates one to three thousand views (about two percent of their followers). What does this mean for small businesses that are considering IGTV in their social media marketing strategy? Is it not worth your time and effort? I think it’s too early for small businesses to dismiss IGTV right away. Let me share why. The popularity of Snapchat and Instagram Stories has set our expectations for videos on smartphones to be vertical and full-screen. Ninety-six percent of mobile consumption is vertical so even if a video is square, or in the traditional 16:9, horizontal format, very few people will flip their phone to consume the content. 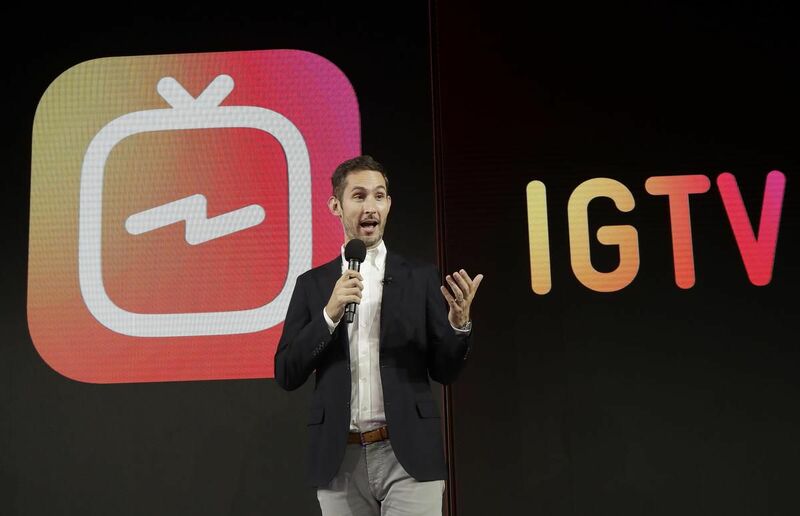 This is the trend that Instagram has betting big on with IGTV. Instagram believes that vertical videos are the future of video. And there are statistics to back this up. According to data collected by Statista, more than 50 percent of digital videos are now viewed on mobile. And it has been showing a general upward trend since 2013. A study commissioned by Facebook also found that people are watching Facebook and Instagram mobile videos everywhere — at home, at friends’ home, in public spaces, at work, and during commute. These statistics are telling us two things. One, videos are going, if they are not already, mobile. And two, people prefer using their phones vertically. 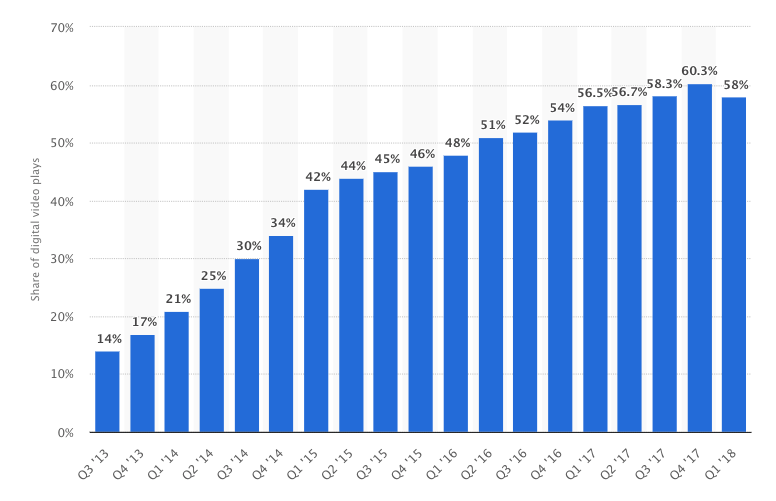 Among all the major social media platforms, IGTV seems to be best positioned to tap onto and accelerate this vertical mobile video trend. It took Instagram less than two years to grow Instagram Stories, another vertical format content, from zero to 400 million daily users. So if you want to ride on their wave of growth, now is the time. When IGTV came out, we knew we had to test it. Ash Read, our managing editor, created a vertical video of his interview with Ryan Carson, CEO and founder of online technology school Treehouse, and shared it on our IGTV channel. What we realized is that distributing your IGTV videos is hard. It’s not easy for brands to nudge their Instagram followers to their IGTV videos besides using Instagram Stories’ swipe up link feature. Furthermore, IGTV only allows users to search for channels (i.e. Instagram users) and not topics. This reduces the likelihood of someone searching for a topic relevant to our brand and finding our videos. But it’s really too early to dismiss IGTV as a potential social media channel for your brand. Instagram did an amazing job integrating Instagram Stories into the Instagram app and growing its usage. We see Instagram Stories right at the top of the Instagram app, we can tap on profile photos to view Instagram Stories, we can even see Instagram Stories highlights on profiles. Seeing how Instagram grew Instagram Stories gives me the confidence that they’ll be able to grow IGTV well, too. They have already been testing many ways to showcase IGTV videos within the Instagram app and will likely find a way to smoothly encourage more people to be on IGTV. While viewership on IGTV is low at the moment and distribution isn’t that great yet, it might just be the perfect time to jump in. This allows you to test different content and gradually improve your content before it gets too crowded with other brands and very polished videos. Well, I believe not every small business (or business) has to be on IGTV. But you’ll never know whether IGTV is great for your business without trying. As a small business, it’s definitely not easy to find time investing in a new social media channel when you are already managing multiple social media profiles. I understand this and would love to share some ways to quickly experiment with IGTV without too much time and resource investment. Before we jump into the tactics, I would encourage you to see IGTV as an extension of your Instagram strategy rather than an entirely new standalone social media channel. A follow on IGTV is automatically a follow on Instagram (and vice versa). Your efforts in one can help the other. If you are already creating videos for social, this is the easiest way to get started on IGTV — simply re-posting your horizontal and square videos onto your IGTV channel. Yes, your videos will not make good use of the full screen and your followers will be forced to rotate their phones to watch your horizontal videos. But for a start, I think this could be a great low-investment way to experiment with IGTV, test out different content, and see if your audience on IGTV is interested in watching your videos. For example, Velon, a professional road cycling organization that aims to bring fans closer to the riders and races, posts race highlights on its IGTV channel. Its videos are made to be viewed horizontally so the team rotated them and posted them on its IGTV channel. You’ll need to rotate your horizontal video first because IGTV only accepts vertical, 9:16 videos. You can easily rotate your horizontal video using Windows Movie Maker on Windows or QuickTime Player on a Mac. Thanks to Kovács Máté, you can also resize your horizontal or square videos into vertical videos on your iOS devices using his IGTV Video Resizer. The second way is to rework your horizontal videos and crop them vertically. This requires a bit more work but is likely more manageable than creating vertical videos from scratch. For example, GoPro cropped its horizontal YouTube video on freediving with Tiger Sharks into a vertical IGTV video. You could also put a frame around your horizontal and square videos to make them vertical, like what Ben and Jerry’s did with its YouTube video. If your videos are filmed in a way that is suitable for cropping into vertical videos, you could try using tools like Kapwing and crop.video to help you with the cropping. Otherwise, you could also try creating your videos using video editing tools like Wave.video and Typito, which allow you to easily resize your videos from horizontal to vertical. What if you are not already producing videos? The third way is to point and shoot with your smartphone — no professional video camera or lighting — just your smartphone. 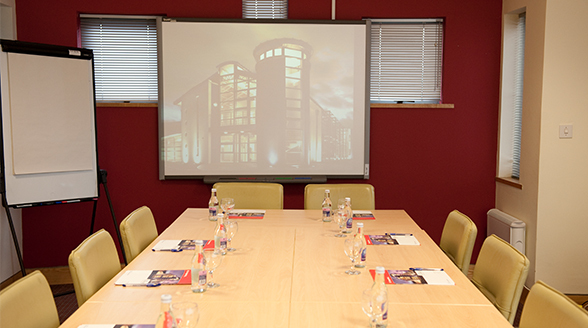 Great content doesn’t always have to be produced professionally. The Guardian shared with Digiday that their less polished Instagram Stories (static graphics or quick video explainers on news topics) have been more popular than their professionally shot, edited, and produced videos. The early content on Instagram is also less polished images with filters. Since IGTV is still a very young platform, with a vertical video format that is still less common than the horizontal video format, people might be more forgiving and focus more on the content itself rather than the aesthetic. ECFIT Boulder, which coaches endurance athletes, shares unedited training tip videos (taken with a smartphone, I presume) on its IGTV channel. For such instances, you might find it helpful to have a tripod to stabilize your smartphone or even just to hold your smartphone if you are filming yourself alone. There are many affordable options on Amazon. Here’s another example, from Everlane, an online clothing retailer known for their pricing transparency. Its social media team shares lightly edited vertical videos on their IGTV channel. While you don’t have to be on every new social media channel, especially as a small business with limited resources, I would recommend testing a few videos using the low-investment methods mentioned above. IGTV has only been live for a small number of months so it is not surprising that not many businesses are on there yet — and those that are there, are still figuring things out. This creates a great opportunity for you to test and see if IGTV will work for your business. If it doesn’t seem to be working for you, you can always pause your efforts and rethink your approach. What do you think? Do you think your business should be on IGTV? Why or why not?